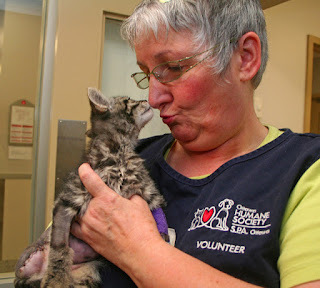 Ottawa Humane Society: The OHS has the best volunteers! Our volunteers help make Ottawa a more humane place for all. National Volunteer Week is an annual celebration that recognizes and honours the 12.7 million-plus Canadians and the two billion-plus hours they contribute annually to organizations across our country. From April 10 to 16, the OHS will proudly celebrate our volunteer’s efforts and contributions over the last year. Let’s face it — the OHS would not be able to continue to offer so many lifesaving programs and services for our community without the support and dedication of our volunteers. I am constantly overwhelmed by the selfless acts of kindness that our volunteers provide to help give Ottawa’s animals a second chance. From volunteer groomers who immediately abandon their plans to assist with OHS emergencies by brushing, bathing and clipping neglected animals to relieve their pain and suffering, to office volunteers who put in extra shifts to help with massive holiday and tax-receipt mail outs to thousands of OHS supporters, to PAL cat assistant volunteers who spend two mornings each week feeding, socializing and providing care to cats temporarily residing in partnering pet store locations, to volunteers who hand out flyers in the heat of summer to warn our community about the dangers of leaving dogs in hot cars. It’s because of volunteers that we are able to help the close to 10,000 animals that need our care each year, and it’s because of volunteers that we are able to continue to do so much for these animals. 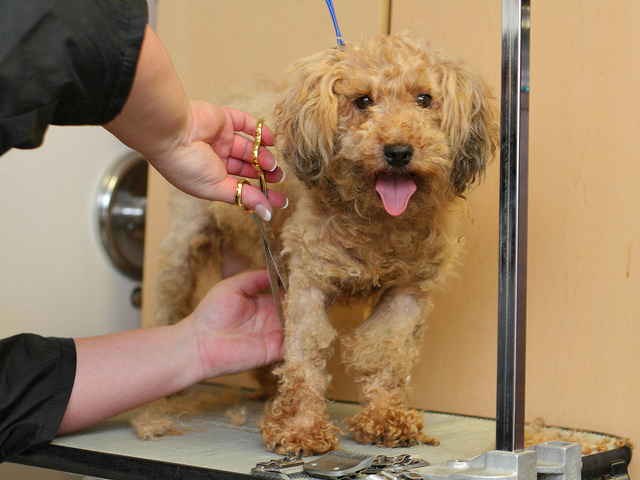 A volunteer groomer helps give an animal at the OHS his second chance. Being part of the OHS volunteer team is a unique experience for each volunteer, but all volunteers share one common goal — to help give Ottawa’s animals a brighter future and make our community a more humane place for all. In addition to helping animals, volunteers gain invaluable experiences to help them expand or develop their skill sets, have the opportunity to network with more than 800 fellow volunteers, have the chance to learn at educational workshops and become a critical component to the success of the OHS. Let our volunteer’s acts of kindness inspire you to start making a difference for our community. Please join me and everyone at the OHS in thanking our 800-plus volunteer team this National Volunteer Week. This amazing group of volunteers supported close to 30 volunteer programs and gave close to 60,000 hours of their time last year. The work of the OHS would not possible without them and I am so grateful to spend each day working with such an inspirational group of people.